February 2016 – Who Are The Vapers? If the FDA wants to regulate Vapor products under the tobacco laws,charging inspection and certification fees for the ingredients used in eLiquids -then why does the FDA not more closely examine and charge outrageously unfair high fees for all of the carcinogens and other harmful additives that are manufactured into the final product concocted to place inside cigarettes, an actual item also regulated under the tobacco laws? I’m sure the FDA does in fact closely monitor tobacco cigarette ingredients, yet if the FDA is in place for our protection from harmful substances, why do tobacco cigarettes presently serve as the catalyst for the annually deceased half million Americans, fatally departing due to tobacco-related illnesses? If the FDA wants to provide more checks and balances, that’s probably the most logical thing to do, regulating this new successful industry that is the poster-child of a consumer established & operated harm reduction approach (Vaping), ultimately our solution to ridding traditional cigarettes from our lifestyles, then FDA must be more vigilant and precise when assuring there is nothing “harmful” in those tobacco products. Sure, Vaping is not 100% healthy, but name one thing which is entirely beneficial for our overall well-being? In regards to some other items we consume, Eggs for example are a great source of protein but they’re also high in cholesterol. Peanuts can provide many vitamins our bodies need, yet thousands of human beings die each year due to peanut-related allergies. So what is harm-free? What is? Nothing is. Why? That’s just the world we all live in, the world we all share, together. QVaping is THE resolution, when we ponder possibilities for discovering ways to decrease the inexcusable death toll from tobacco-related ilnesses and the other suffering brought on by consuming real tobacco. Vaping merely is the intake of nicotine or also the option of zero mg of nicotine, it is NOT Tobacco, it is nicotine. Is it that difficult to see the difference? The primary reason Vaping is being regulated under the Tobacco Control Act is b/c the only other option under FDA control would to be regulated as a medical device which would require rigorous testing of each device before approval is granted. So that makes sense to a certain extent. However, then why is the FDA suggesting that these devices still go through rigorous testing before approval under the tobacco laws when the whole point was to avoid that by not being regulated as a medical device? The fact of the matter is that there are just too many questions here and when there are too many questions needing answers, there is much doubt and possible corruption most likely involved here. Not to mention, if the FDA regulates the Vaping industry properly with putting reasonable guidelines for checks and balances in place for the safe usage during manufacturing of eliquid, then Im supportive of that concept. However, if the FDA moves forward with such strict regulation, we are all surely doomed. This will create a vast amount of disgruntled citizens, dissatisfied consumers and professionally established organizations full of passionate and educated individuals determined to reverse their decision, then we’ll additionally see millions of people out of the job, losing their livelihoods. Most important to consider is the idea that choosing to regulate in ways that mirror strategic methods of eliminating an entire industry is consequently generating the facilitation of a Vaping Black Market. An underground industry earning untaxable cashflow will be the “FDA Effect” if they choose to regulate Vaping the wrong way. Charging these vapor companies & small shops high costs will only cause more economic and societal conflict. This is exactly why the FDA needs to bring in more Vaping Industry Leaders, Small Business Propietors of Vape Shops and overall, a considerable number of Vaping experts in order to allow this newly successful, capital producing industry an equal voice to speak about their main concerns addressing what they truly feel must be regulated and which areas of regulation are not necessary, consulting in the Vape Industry’s most distinguished members will diminish the possibility of a Black Market. For those who doubt the notion of a Black Market, look at the Roaring Twenties of the 20th Century. Prohibition of alcohol was the single most obvious feature as to why organized crime became so powerful. People made so much money off of bootlegging when alcohol was prohibited that law enforcement had no chance at keeping up with this opposition. You make alcohol unavailable to the people then they will still most definitely find ways to obtain it. Same goes for Vaping Products, take it away and it will remain to be a product many will still seek, with her legally or illegally. Countless people already vape quite a bit and the market is flooded with new technology each week, establishing the Vapor industry as one of the single most innovative contributors to the Capitalist economic stystem. In fact the Vaping industry, when dissecting history, has a immaculate record accompanied with accurate stats proving it to be one of the most responsible and accountable economic participants whose business involves an age-restricted substance to actually regulate itself and actively enforce these regulations to a degree of minimal errors. Of course, there will always be a small percentage, essentially a few bad eggs who lack the discipline for carefully abiding by all these self-regulating principles, yet the majority of the industry should be commended on this aspect of professionalism and social responsibility as a business model. It is quite impressive when you compare and contrast other industries among the category of age-restriction consumption. All in all, for those with doubts about what I’m stating, take a few steps back and look at our society as an outsider. See where the true imperfections lay. Analyze them, contemplate them, logically dissect all the factors. At least please try doing so before you judge this new technological advancement. Perhaps God and most definitely history will produce the only accurate judgements on what could easily be portrayed as the most effective consumer-based creation for the overall improvement of public health. Due to the detrimental effects in which combustible tobacco products have on the health of a human being, in which these effects are fatally devastating then it proves that Vaping is by and large, the most effective harm reduction approach ever discovered, widely embraced, and safely practiced. Ever. Below I have posted my response to the Bilmar petition to have President Obama appear on the show which received 100,000 signatures and I must say I am impressed and glad to see that this was the result. However the response from “We the People” was so sensationalized and a Nother example of other Americans kissing the asses of celebrities going so far as to even thanking him for the actual petition submission. I think they should leave the thank you’s to us, the actual people. The response they gave for the 100,000 signatures received on the deeming FDA regulations petition was fairly unenthusiastic as if they didn’t even care. I want to see Obama on Bill Maher’s badass show just as much as anyone else, however, I surely do not want to see VAPING regulated to the point of extinction, so let’s weigh the importance of the real issues here. I love RealTime w/Bill Maher. One of the best forms of news on TV today. However, why don’t you respond to every petition which reaches 100,000 signatures on real issues with the same amount of courtesy, respect, & enthusiasm? Reading your RealTime response was enlightening & I was generally glad to hear your response, yet why don’t you respond with more enthused support to the Vaping community attempting to reserve their right to reducing harm from the deadliest killer in our country: Tobacco Cigarettes! Nearly half a million Americans die annually from tobacco-related illness. Embracing the improvement of Public Health, supporting Vaping, reducing the probability of tobacco-related deaths, influencing history for the betterment of humankind, consumer freedom, economic fairness, should all be bulletpoints to your outline for your next response to the political action taken by Vapers. You went so far as to say thank you to Bill and wish him a happy birthday now I think it’s time that you use the same amount of reverence and graciousness towards something that will save millions of lives. The response you provided the Vaping petition on the deeming FDA Regulations was dull, lacking any viable information, and a lacking in support. Please respect the rights and opinions with a less robotic response and understand this is truly an issue that will go down in history as either one of the most biased outcomes not in favor of our health or it could be a shared American breakthrough towards life-saving technology. Which side of history do you want to be on? What is Ethnography? What does it have to do with Vaping in general? Why is it important? 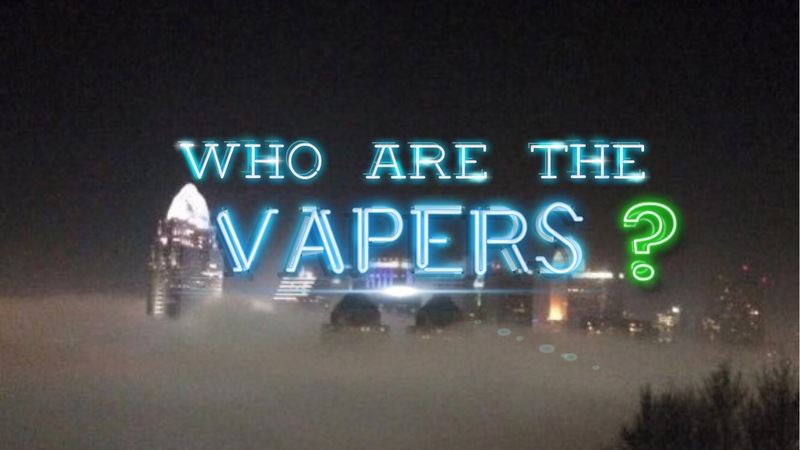 Who are the Vapers? Any question is a good question so naturally there’s no such thing as a bad question. But some might wonder, are some questions not worth asking? Those who ask this are most likely fearful of truth, but it is not a bad question. That’s why people say ignorance is bliss because the truth hurts and facts can be scary. Regardless, the questions about Ethnography and Vaping are most definitely worth asking. This is because the answers are relevant to our current times. Year 2016 has arrived and there is much going on in the U.S. & around the world. So hold on tight, it may get bumpy, but it’s sure enough to be one hell of a ride! Living in 2016 is exciting and full of promise, yet it is also quite a strange time period to exist in as well. Many may think, why is it strange? Well, if you were born before the 21st Century, more so, if you were born before the 90s, then you can probably attest to what I’m trying to communicate. I was Born in the early 1980s and when I was a child I initially did not play video games simply because they did not exist. Sure, there was Atari for a short while, until they came out with Nintendo. Of course I owned Super Nintendo which I played regularly for a couple of years during my youth, but this is as far as it went for me. It seemed pointless to me to be partaking in an activity that did not really accomplish anything to get me further towards my goals in any way. Plus, it seemed as if an upgraded video game system was being released every other year because Nintendo 64 came out soon after its predecessor, then came GameCube and I never indulged. So if I were to play video games today, I would be lost and awful. I would have to say most “Gamers” these days are unbelievable and talented. For me,however, I just never became too interested. I barely have enough time in a single day as of now. Often times, you’ll hear people say “back then it was a simple time” and that is without a doubt a fact. There were no smartphones way back when. Its an amazing technological breakthrough, so amazing that I’m writing this very post on a smartphone as we speak or should I say, as I speak into my phone which then transcribes the words into written text for others to read. Something this convenient was unfathomable back in the day. Internet access at your fingertips, 24/7. There was also no Internet–no information super highway for us to be such easy targets for faulty, misguided, & downright fictitious lies then we somehow believed to be factual. Basically what I’m trying to say is that there is so much information being shared, communicated, and sworn to be true that all information somehow becomes too overwhelming to even digest or analyze rationally. Ultimately we need to rethink the concept of logic and what is practical. The vast amount of information we are exposed to creates a phenomenon known in Sociology as narcotizing dysfunction, in which people are so overwhelmed that they cannot absorb all the information forced on them so they become numb and apathetic to the issues of our social reality. In turn, this causes many people in the United States today to be living with a “false consciousness;” which is a sociological term defined as an incorrect perception of society. Furthermore, there is no conspiracy, it is clear that there is a narcotizing dysfunction which has spread a false consciousness throughout our citizenry. Regardless, we still must answer the questions dealing with Ethnography, in which this term is defined as the examination of broad culture sharing behavior of individuals or groups. In regards to what Ethnography has to do withVaping, this is a qualitative research method stylized perfectly to the observational data that can be reached from analyzing the act of Vaping. The art of Vsoing is a socially shared exchange in many circumstances. It creates more socialization among people and groups all brought together, exchanging ideas and capturing the meaning of our cause. Human beings are social animals. The more social we are, the healthier we become as individuals and thus the longer we live, allowing smoother transitions throughout the aging process. Ethnography is the one main tool used in filmmaking for social research. We can thus observe and then report. Observe when one is to Film action and what unfolds within the Vaping community and then edit that footage to screen for viewers, reporting your data. Ethnographic Filmmaking is the very best research tool available for interpreting data from sociological methodology. Is There a Vaping Documentary Curse? When contemplating the ideas behind my current short documentary project, titled “Who Are The Vapers?” I can’t help but wonder about whether or not my team and I will receive the overwhelming support I have anticipated. An article I wrote published in October’s Issue of VAPEmz on page 92 was a clear indication that this film would be made sooner than later, but only with the support of the vaping community. We introduced the production of our film by creating social media pages on Facebook, Twitter, and Instagram just about three months ago. Not to mention, “Who Are The Vapers?” now has a YouTube channel and a LinkedIn account, emerging as additional promotional opportunities in the social-media realm. The fact of the matter is that in 2015, an online presence is vital regardless of which type of project it is. I assumed there would be an enthusiastic reaction from the Vaping Industry of widespread immediate support. Therefore, as I write these words now near the end of November, I must continually remind myself that it has only been about three months since the film’s social-media introduction and almost two months since the official announcement of our ethnographic documentary in article the October Issue of VAPEmz. The key word to reflect on in that last sentence is “Ethnographic.” Due to the fact that I’m approaching this short documentary from a Sociological Perspective, conducting qualitative research while facilitating an observational protocol related to Ethnographic methodology. Ethnography is a word many people are not accustomed to often hearing. Simply put, “Ethnography” is the examination of broad culture-sharing behavior of individuals or groups. It is a research method that is used by sociologists often when studying groups, organizations, and communities that are a part of a larger complex society (Creswell 2003:200). What’s promising, however, is that this project could be published in the peer-reviewed Journal of Video Ethnography, instantly categorizing the film as a valid social scientific study for Academia to offer as a reference for students and faculty to consult. Thus, our strategy of inquiry toward our research question is the Ethnography, which is what uniquely sets our documentary apart from the others. Regarding this, we will be filming interviews with individual VAPERS in order to capture their authentic and emotionally-charged stories of how they were able to quit smoking by switching to Vaping; taking us through their mental museum of past tobacco abuse. 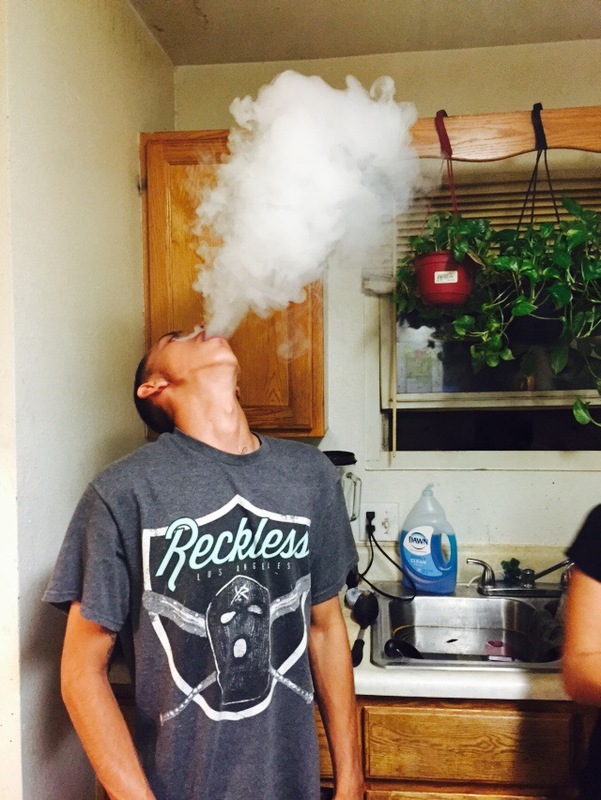 The backstory of any vaper can be riveting and VAPERS are not usually ones to shy away from sharing their personal transformations with others. Already, I have at least ten interview subjects on deck, eager to begin this process. We could always definitely use more supporters and volunteers. It is inevitable that if I expect more support, especially through offers of funding contributions, then I must accept the fact that it will take a lot more time and a lot more hard work, which I’m certainly up for the challenges and ready to get after it ASAP. When I commit to finishing a project, I always ensure its completion. Otherwise, what’s the point? Subsequently, I’ll be extremely displeased if FDA regulations are passed before the release of my ethnographic film. I won’t stand for highly restrictive regulatory policies being enforced on vapers. It’s entirely un-American. “Who Are The Vapers?” could very easily be influential towards generating empathetic attitudes thus creating more social approval of Vaping nationwide. All things considered, even though I am optimistic about my project, I feel as if there is a stigma surrounding the act of filming an independent “Vaping Documentary” project. Recently, fellow Vape News Magazine Writer Susan E. Oser, known as Angelwriter in the online vaping show world, and I had a chat and she reminded me of the issues she knew of and heard about concerning vaping documentaries. She reminded me to look up some previous projects made in the past, which I had briefly done so prior to our discussions, yet I had not gone back to visit that portion of my research lately. 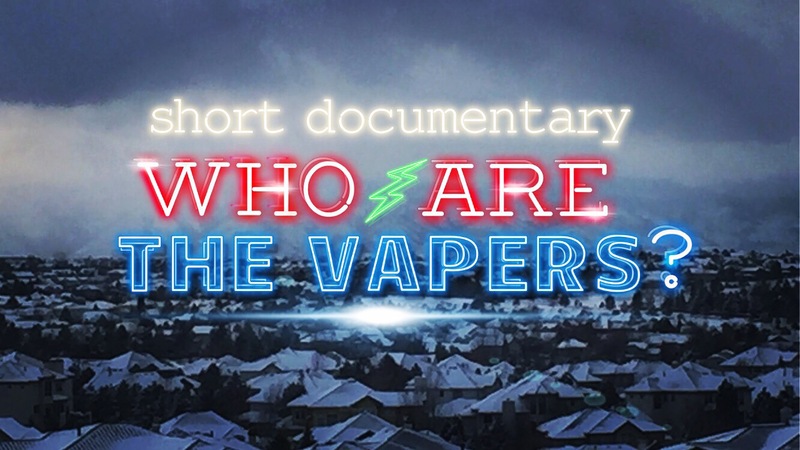 Henceforth, I came across a once highly anticipated feature-length documentary that has yet to release a single second of footage over the past three years, titled “We Are Vapers.” I will refrain from mentioning the name of the filmmaker, yet I have tried contacting him by email and through social-media. He did accept our connect-request from our documentary film’s account @WhoAreTheVapersFilm as a connection through the social media outlet, LinkedIn. We sent an appropriately worded and respectful message with nonconfrontational inquiries and are still awaiting a reply. 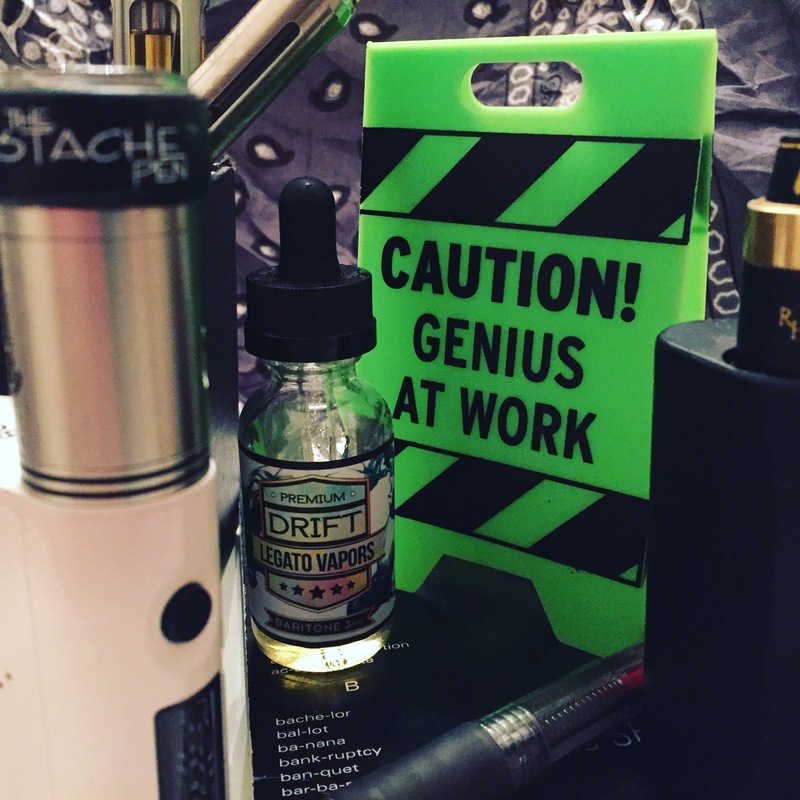 Regardless, my fellow contributing writer and friend, Susan Oser, suggested perhaps there may be a cloud of skepticism among the Vaping community, due to the fact, that promises were made in the past and many pledged their support to a number of potential projects with little or no results. Unfortunately, for this past project known as “We Are Vapers,” the filmmaker raised $20K+ for the much anticipated vaping documentary, yet still no footage has been seen and their website was deactivated. In an article online, writer Anthony H. states, “There is nothing to show for We Are Vapers except a lot of excuses, a defunct website, and a close-lipped attitude towards the community who donated nearly $22,000 to make it happen” (http://www.v4p3r.com/we-are-vapers-footage-found/). Taking this into account, in attempt to garnish more support within our community of united Vapers, particular questions do arise: are certain vaping groups and individual vapers seriously “reluctant” to show support? Is there suspicion with getting involved all because of this one past project which seemed shady all because it rose and fell so fast? Don’t get me wrong, overall support for our own project is not entirely absent. 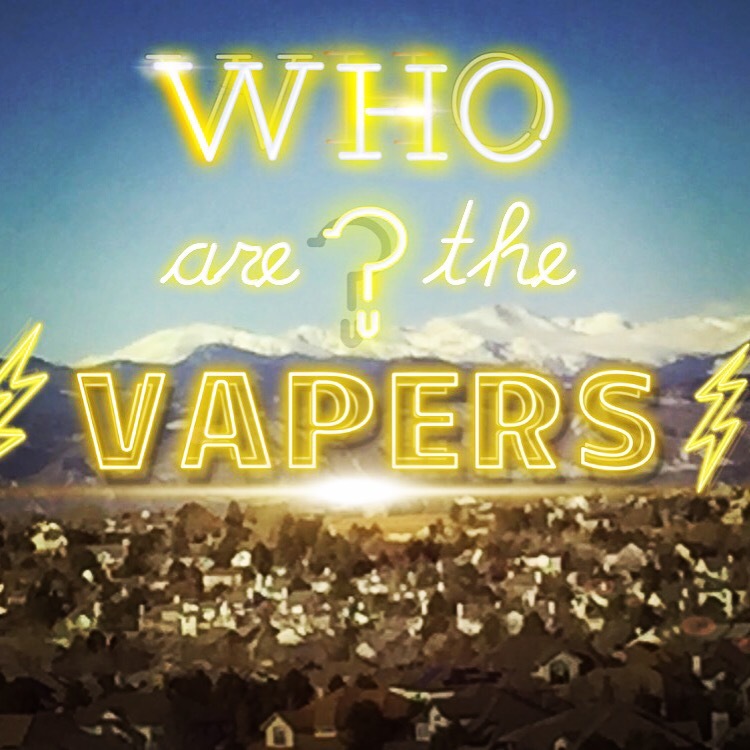 As of current, we have attracted a thousand Twitter Followers @WhoAreTheVapers, but my expectations were much higher. Why wouldn’t my Vaping Documentary project get more immediate attention and overwhelming support? Especially given the political climate suffocating our Vaping Industry and the genuine passion shared by all vapers for choosing a vape-life. I can’t help but think of that failed feature-length documentary project. Or should it be referred to as a successful scam? Many claims have surfaced. Perhaps it is a major factor for my own challenges with the production of an independent vaping documentary? All in all, if I’m going to make claims of thinking big, then I need to look at the big picture too. Perhaps the filmmaker was, in reality, honest with his intentions and totally underestimated his budget plan. Whatever it was, it’s over and all we can do is move forward and keep trying. With the upcoming 2016 release of the feature-length vaping documentary, “A Billion Lives,” their groundbreaking footage serves as concrete evidence that hope remains steady for vaping as acceptable subject matter openly embraced by the filmmaking community. Of course, this particular documentary is funded by a major film production studio, which I was informed of this fact by Director Aaron Biebert, when we briefly had a chance to communicate via Facebook. While they most likely had to overcome many obstacles producing their film, nothing will ever be more challenging than attempting to make a film independently. Fully funded by a major studio or not, I still respect their crew a great deal for their relentless dedication and courageous sacrifice. They’ve made history, it’s undeniable. In retrospect, Please feel free to contribute in any way: spread the word, follow our social-media, contribute funds, sponsor us, vouch for what you believe-in, whatever you can do to assist us in completing this film. Help this filmmaking-vaper complete a documentary project consisting of artistic expression combined with academic research, which will most definitely be beneficial for many involved. To all my Vaping activists across the nation, it’s vital to promote vape-education to gain more positive social expectation about this harm reducing creation we’ve all stumbled upon for Smokers who seek alternative stimulation. Ultimately, a newly acquired inhalation, a fresh taste of modernized elation. When all’s said and done, is there a vaping documentary curse? Not at all, some people just seem to take a turn for the worse. For some of the best deals and latest news in the Vaping Industry, check out dailyvapingnews.com aka “DVN.” Amazing deals on Vapor products and very informative posts about the shaky political landscape surrounding the vape-world. Beginner or Advanced VAPER? Either way, check it out!